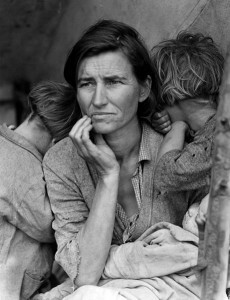 With the decline in photojournalists, will we continue to see riveting portraits like this one? 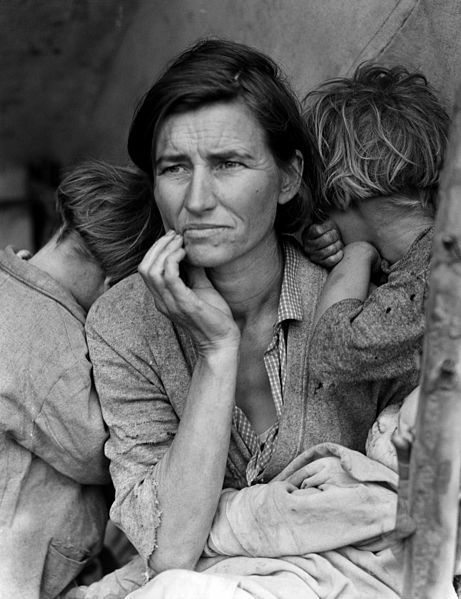 Florence Johnson, a migrant mother from the 1930s, courtesy of Wikipedia. John White, the Pulitzer prize-winning photojournalist who is the focus of Irby’s piece, laments this socio-economic trend as the loss of “a whole culture of photojournalism,” and as a theft. “Humanity is being robbed,” he says, “by people with money on their minds.” The market forces to which White refers are clearly the proximate cause of the layoffs. Less clear, however, are the common cultural narratives that implicate us all in the theft White reports, i.e., in the devaluation of skilled labor and the communities of practice through which it is organized and culturally reproduced. The belief that seasoned photojournalists can be replaced by reporters with iPhones and a mandatory training in “iPhone photography basics” reflects a broader techno-social imaginary, one at work both in the corporate sphere and in DIY or “participatory culture” (Jenkins 2006) and user-generated media (i.e., Wikipedia, YouTube, Tumblr, Instagram). The promise of this techno-social imaginary is that low-cost, easy-to-use technologies can make producers of us all. As a cultural narrative of the technologically empowered individual, it elides social relations of production and undercuts expert knowledge, as the Sun-Times layoff testifies. Visual anthropologists might describe their work in similar terms and have, historically, suffered the same techno-centric assumptions of the broader social imaginary I describe. “For instance, as ethnographic film-making or photography, visual anthropology was (and frequently still is) understood to be about the acquisition of technical skills,” and was, thus, “dismissed or reduced to the margins of the mainstream discipline” as insufficiently “informed by ideas or theory”(Grimshaw 2001: 4). This reduction to technology was an obstacle to visual ethnography long before the advent of digital technologies. If, in the olden days of analog, the sub-discipline was seen as “tangled up in wires and boringly concerned with the workings of different kinds of recording equipment” (2001: 4), what will become of it in an era of “prosumer” technologies and DIY attitudes? Will these communities of practice also to be dissolved by iPhones, so to speak? That is, by technologically empowered individuals incorporating photographic media in their general toolkit, without special focus? What the broader social imaginary I’ve touched on obscures is that neither photojournalism nor photographic ethnography is simply a matter of capturing images. Both incorporate ways of seeing and saying, knowing and representing, characteristic of professions that have been socially constructed since the 19th century through communities of practice that once had far more institutional and cultural support than they do today. Grimshaw, Anna (2001) The Ethnographer’s Eye: Ways of Seeing in Modern Anthropology. Cambridge: Cambridge University Press. Jenkins, Henry (2006) Fans, Bloggers, and Gamers: Exploring Participatory Culture. New York: New York University Press. Jennifer Cool is a cultural anthropologist and ethnographic filmmaker whose work focuses on dominant social imaginaries in the U.S., such as the American dream of home ownership and narrative of social revolution through technology. 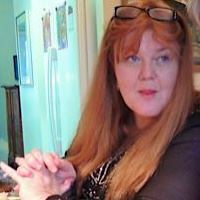 Her fields include digital media, Internet culture, critical theories of representation, and feminist theory. She teaches media production in the Visual Anthropology MA program at the University of Southern California and undergraduate courses in symbolic anthropology and ethnographic film history, theory, and practice.